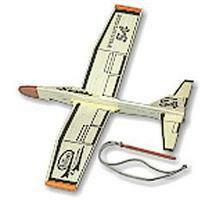 Shop online for 23 free flight glider airplanes at discounts up to 70%. 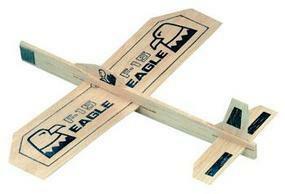 Guillows Eagle Gliders are all balsa, free flight gliders that are easy to assemble. This is the 1903 Wright Flyer from Guillows. Suitable for Ages 12 & Older. This is the Rockstar Jet from the MiniModels Series from Guillows. Suitable for Ages 13 & Older. This is the V-Tail from the MiniModels Series from Guillows. Suitable for Ages 13 & Older. 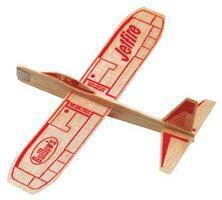 The Sky Launcher is a Rubber Powered Balsa Motorplane from Guillow's. Suitable for Ages 10 and Older. This is the US Warhawk from the MiniModels Series from Guillows. Suitable for Ages 13 & Older. 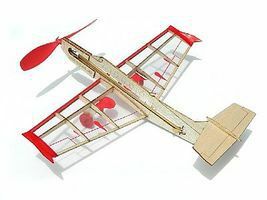 Guillows all balsa free flight gliders are easy to assemble. This is the Wind Seeker Rubber Band Glider from Estes. Suitable for Ages 8 & Older. This is the Sky Raider Display (18) from Guillows. This is the F-14 Tomcat Sleek US Navy Shipboard Fighter-Bomber from the Fighter Jet Series by Guillows. Suitable for Ages 14 & Older. 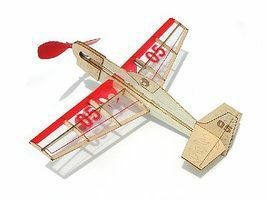 This is the Balsa Glider/Airplane Assortment Combo Pack 4 (48) from Guillows. This is the F-16a Fighting Falcon US/NATO High Technology Jet Fighter from the Fighter Jet Series by Guillows. Suitable for Ages 14 & Older. This is the German Fighter from the MiniModels Series from Guillows. Suitable for Ages 13 & Older. This is the F-15 Eagle US/NATO Air Superiority Jet Fighter from the Fighter Jet Series by Guillows. Suitable for Ages 14 & Older. 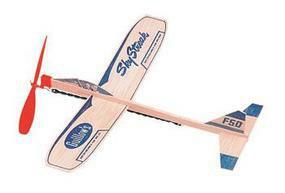 This is the Sky Raider Foam Glider from Guillows. Suitable for Ages 8 & Older.